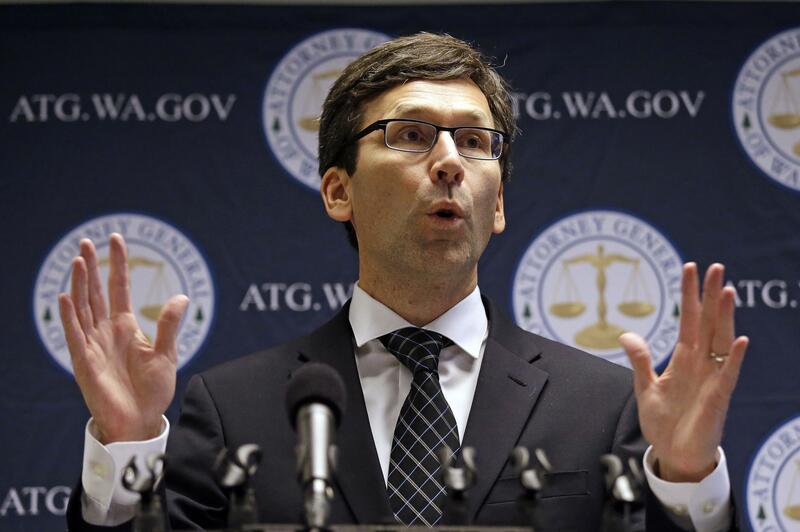 UPDATED: Mon., June 4, 2018, 4:58 p.m.
SEATTLE – Washington state Attorney General Bob Ferguson sued Facebook and Google on Monday, alleging the tech giants have failed to comply with state law on political advertising transparency. The pair of lawsuits, filed in King County County Superior Court, say the companies have not kept required records about who is paying for online political ads on their platforms. State law requires companies that run political ads to collect information about ad sponsors and make it available for public inspection, just like television stations, billboard owners and newspapers. Information on political-ad spending is reported by campaigns to the state Public Disclosure Commission. But Facebook and Google have neglected to obey a separate record-keeping requirement, the state lawsuits say. Ferguson’s office said its investigation showed Facebook could not document some payments by ad sponsors, the mailing addresses of those sponsors or the identities of some people paying for ads, as well as dates and methods of payment. Google also failed to document some ad sponsors as well as dates when payments were made, the A.G.’s office said. The lawsuits seek unspecified civil penalties, costs and legal relief. A Facebook representative responded by pointing to the company’s recent introduction of a digital ad archive and other transparency steps. “We are eager to hear people’s feedback as they use these features and will continue to explore how to build upon them to ensure people know who is behind the political ads they see on Facebook. Attorney General Ferguson has raised important questions and we look forward to resolving this matter with his office quickly,” said Rob Leathern, director of product management for Facebook in an emailed statement. Spokespersons for Google could not immediately be reached for comment. Once focused largely on television, political campaigns have increasingly turned to online advertising in recent elections. The state’s lawsuit says political committees and candidates in Washington have reported $3.1 million in political ad payments to Facebook and $1.5 million to Google since 2008. The move to push tech companies into compliance started last year after an editor for Seattle alternative publication The Stranger pressed the tech companies for the legally required information. The city of Seattle’s Ethics and Elections Commission also has wrestled with Facebook and Google over inadequate compliance with a similar city law. Ferguson’s lawsuits were prompted by citizen-action complaints filed earlier this year by Conner Edwards, a former state legislative aide and Thurston County political consultant. Under state law, Ferguson’s office had 45 days to decide whether to sue the tech companies to enforce the law. If Ferguson declined to sue, Edwards would have been allowed to sue Facebook and Google himself to enforce the law as a private citizen. Edwards said he’d have liked Ferguson to step aside, saying the attorney general had failed so far to hold the tech companies accountable to the campaign-finance law. “I would prefer to bring the lawsuit myself. I don’t really trust they (the Attorney General’s office) would try to wage a fair fight and try to get a decent amount of damages,” he said prior to the lawsuits’ filing. On a national level, concerns over Russian influence and false-information peddling in the 2016 elections have put pressure on Facebook and Google to be more transparent and vigilant over advertising and other practices. Google announced in May it would do a better job of verifying the identity of political ad buyers by requiring government-issued identification and other information. Published: June 4, 2018, 4:07 p.m. Updated: June 4, 2018, 4:58 p.m.
Get the day’s top headlines delivered to your inbox every morning by subscribing to our newsletter. You have been successfully subscribed!